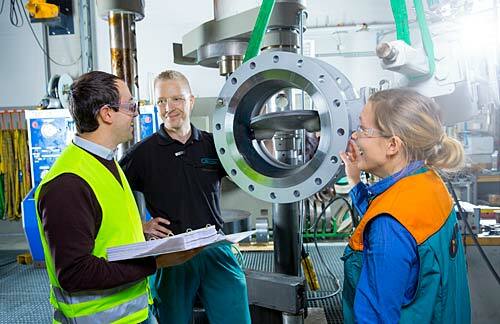 As a tool of the digital world, PlantTriage leverages Metso’s decades of expertise in automation and control valves. It gathers process data from many different control systems, and monitors of thousands of control loops. Metso’s understanding of smart positioners and valve position feedback systems has been incorporated into PlantTriage to meet customers’ needs for improved reliability. PlantTriage has also been tested intensively in different demanding industries, including refining, chemicals, and pulp and paper. “PlantTriage delivers value to our customers by identifying and getting to the root causes of control system performance issues. We have started to see that valve position feedback information is becoming more available in control systems that can communicate with smart field devices. This data permits more accurate diagnostics of valve performance issues. We have introduced several new assessments and a problem solver report related to valve positioner performance,” explains Steve Obermann, Senior Product Manager, Metso. For increased security, PlantTriage Version 13 contains several cybersecurity enhancements. JAVA-related vulnerabilities have been eliminated. Integration with Microsoft Windows Authentication allows administrators to manage network security seamlessly, according to the customer’s in-house IT policies.